Michael, the son of engineer Kerby Mitchell, will be working with his father for the first time aboard the F/V Cape Caution. This will be Michael's first season working on a crabbing vessel, but the young hand isn't worried. He had a chance to work every deck job while cod fishing. His goal this year is improved all-around. 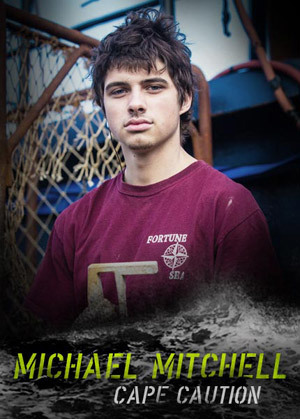 Confident in his abilities, it will be interesting to see how Michael takes to a new fishery and crew.